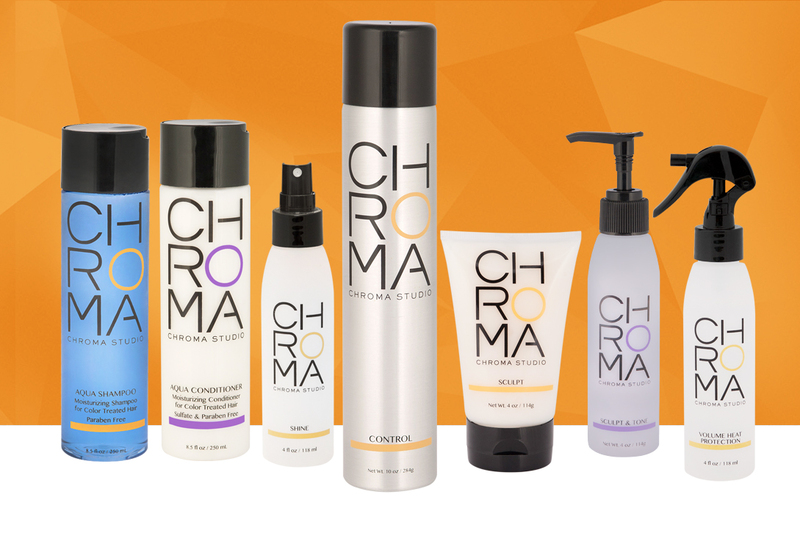 I had the opportunity to experience a cruelty-free product line from Chroma Studio, a full service salon nestled in the heart of West Hollywood. Formulated in a salon, these products are created to achieve what everyone wanted: shiny and healthy hair. Hair feels soft and clean. The Aqua Shampoo ($25, 250ml) forms a foamy lather which you and I know equates to cleansing. According to the website, this paraben-free shampoo is moisturizing and specifically formulated for color-treated hair. It has a sweet floral fragrance akin to body wash. The paraben and sulfate-free Aqua Conditioner ($26, 250ml) is also intended for color-treated hair. Used together, my hair feels light, clean and noticeably frizz-free. While most of the shampoo’s ingredients are naturally-derived, please be aware that there is sodium laureth sulfate (not to be misunderstood with sodium lauryl sulfate as they are different in terms of composition). While deemed to be safe for cosmetic use because it’s a milder cleansing agent, health and environmental groups think otherwise. The Chroma Studio Aqua Shampoo Ingredients: Water / Aqua / Eau, Sodium Laureth Sulfate, Cocamidopropyl Betaine, PEG-150 Distearate, Sodium Chloride, Fragrance / Parfum, Polyquaternium-59, Butylene Glycol, Decyl Glucoside, Citric Acid, Polysorbate-20, Aloe Barbadensis Leaf Juice, Chamomilla Recutita (Matricaria) Flower Extract, Salvia Officinalis (Sage) Extract, Geranium Maculatum Extract, Achillea Millefolem Extract, Melissa Officinalis Leaf Extract, Cymbopogon Schoenanthus Extract, Quercus Alba Bark Extract, Hamamelis Virginiana (Witch hazel) Extract, Rosa Canina Seed Extract, Symphytum Officinale Leaf Extract, Disodium EDTA, Benzyl Benzoate, Limonene, Methylchloroisothiazolinone, Blue 1 (CI 42090), Ext Violet 2 (CI 60730). The Chroma Studio Aqua Conditioner Ingredients: Water / Aqua / Eau, Stearyl Alcohol, Cetrimonium Chloride, Glyceryl Stearate, Cetyl Alcohol, Behentrimonium Chloride, Helianthus Annuus (Sunflower) Seed Oil, Panthenol, Hydrolyzed Keratin, Fragrance / Parfum, Olea Europaea (Olive) Fruit Oil, Polyquaternium-10, Cyclomethicone, Cyclopentasiloxane, Aktinidia Chinensis (Kiwi) Fruit Extract, Glycerin, Dimethiconol, Methylisothiazolinone, Coumarin. Styling made easy. Although I have natural wavy hair, it looks lifeless unstyled. Not that it matters because high bun is pretty much my daily hairstyle. But in days I want to doll up (date with Hubzilla or special occasions), I use styling tools and products. The Chroma Studio Sculpt ($24, 4 oz/ 114g) is a soft-hold sticky styling cream that holds hair, curls, waves for definition and/or volume. For color-treated hair, The Chroma Studio Sculpt and Tone ($26, 4 oz/ 114g) is your alternative. Except for the color and packaging, I believe both of these sculpting products have the same ingredients. Unlike the shampoo and conditioner, they are not paraben-free. They are floral-scented and did a good job of keeping my natural waves in place throughout the day. I did notice though that my hair looked dry and frizzy the day after (just so you know, I wash my hair every two days). Thankfully, The Chroma Studio Shine ($24, 4 oz/ 118ml) is the solution. The best way of using this is to mist your brush and comb your hair as you please or if you have extra time, blow-dry while you gently brush your hair. If you use thermal stools, you know the importance of heat protectant right? The Chroma Studio Volume Heat Protection ($24, 4oz/ 118ml) works just the same as other brands but it has some plant extracts for added shine. The Chroma Studio Volume Heat Protection Ingredients: SD Alcohol, 40-B/Alcohol Denat, Water, VP/VA Copolymer, Poysorbate-20, Fragrance, PEG-12 Dimethicone, Cyclomethicone,Arctium Lappa Root Extract, Chamomilla Recutita (Matricaria) Extract, Betula Alba Leaf Extract, Propylene Glycol, Benzyl Alcohol, Benzyl Benzoate, Limonene, Linalool. Are you the type of consumer who buys salon-made products after a great service? 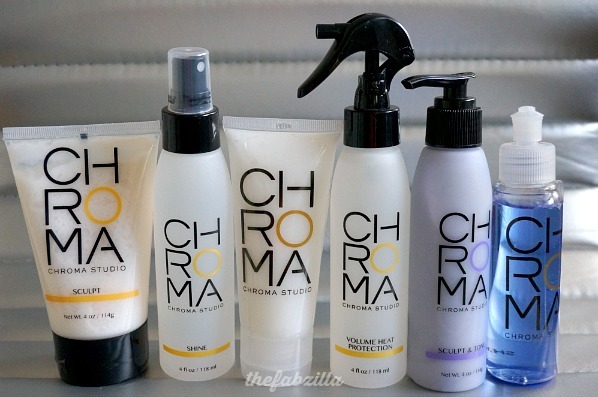 Because granted there is a Chroma Studio branch here in Oahu (Hawaii) and hypothetically I was impressed with the staff/stylist, I will most likely buy the shampoo, conditioner and shine spray (aside from tipping of course). I wish they expand their distribution because online is very limiting. No thermal tools involved… just my natural hair styled with Chroma Sculpt and Shine. Next Post #Realtalk :: On Becoming Vegetarian Plus Five Tips To Eating Healthy! Oh my, your hair looks absolutely gorgeous!! I just chopped off all of mine and then I see this! I will have to check out Chroma Studio products. i wanna see your new hair! I have their shampoo and conditioner and love them. Your hair looks gorgeous! I have to use a flat iron or my hair looks awful. This sounds like a good product line, and it is new to me. I don't usually obsess about ingredients in shampoo & conditioners & styling products as long as they are good for color treated hair. Thanks much, you're so sweet. Believe me, my hair does not cooperate at times too! These look like great products. You, m'dear have beautiful hair. Can I have your hair please? 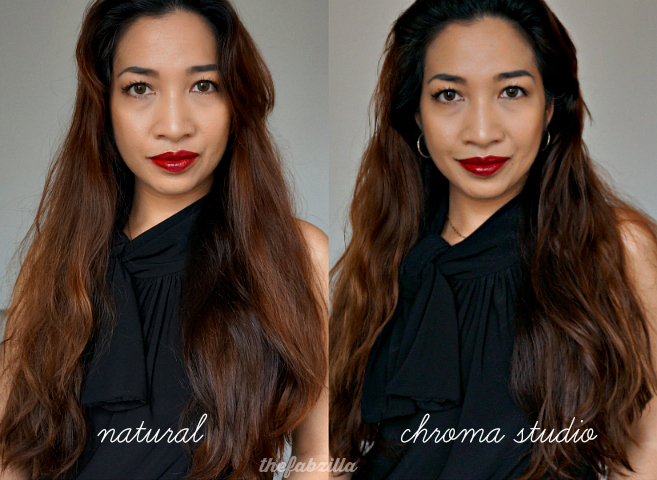 So beautiful before and after but I love that the after has a little more oomph! You are just a goddess! 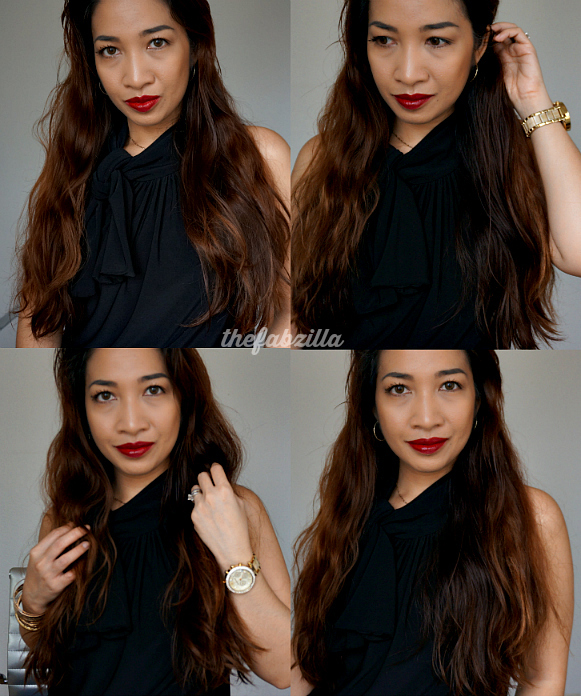 Love your wavy hair <3. wow! Your hair looks beautiful! Looks nice. I sure wish the shampoo was sulfate free though. You have absolutely fabulous hair! Girl, can we just talk about your lips for a minute? AMAZING! Your hair looks awesome! I never knew your hair was so long and gorgeous! Your hair looks fabulous! Oh my gosh you are rocking out this look – beautiful. Your hair is gorgeous. I'd go crazy washing mine every two days now; it's such a hassle with long hair! It looks very nice! I'll have to check this out because I am a wash-and-air dry kinda girl too!